‘It gets better’ sings frontman Nathan Williams in a tone that is as hopeful as it is doubtful. If all the tracks on this San Diego band’s new album are of the same quality as this bouncy, breezy breakup anthem then pin me down cos this record’s going to blow me away! 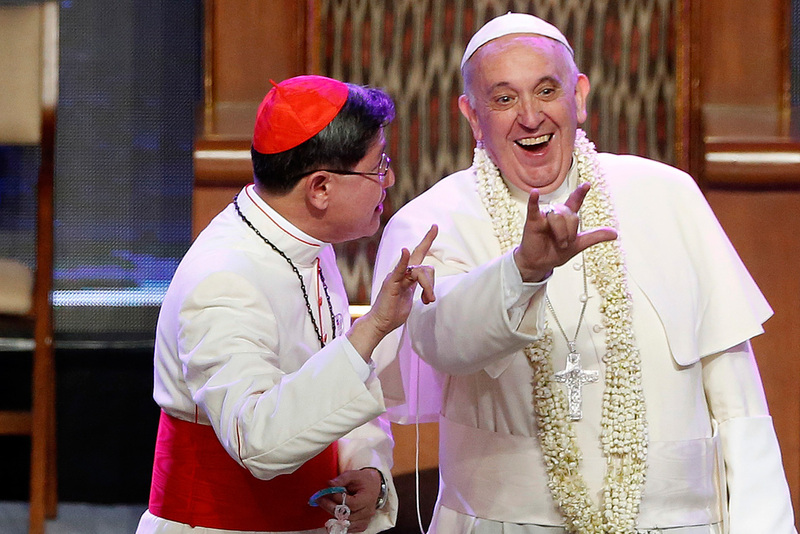 The pope is releasing a rock album later this year. The actual pope. I’m not kidding. It’s going to feature excerpts from speeches he’s done over predominantly rock instrumentals. Here’s the first taster, a proggy King-Crimson flavoured number, and it’s actually surprisingly good. Horns up in appreciation (wait, is that blasphemous?). Listen to it here. Avant-garde electronic producer Flying Lotus, experimental hip hop duo Shabazz Palaces, slinky bassist/singer Thundercat and funk pioneer George Clinton all team up for this warped jazz trip. I’m still trying to dissect my way through the labyrinth of instrumental layers. The fact that there is still a groove beneath it all is quite a miracle. Who knows what this supergroup have planned next? I can barely make out what this dude is spitting about? The monstrously bassy beat somewhat buries him but, oh well, I do like a bit of monstrous bass. My neighbours hate it. The piano beat is straight out the cookie-cutter, as is the materialistic drivel over the top. ‘Open up the champagne, pop/ It’s my house, come on, turn it up!’ If you want to try and serenade me Flo Rida you’re going to have to try harder than that.